*The miniseries continues in Plastron Cafe' #2. *Only “North by Down East” and “Old Times” are Turtles stories. The rest are unrelated. *This part of “North by Down East” was colorized and reprinted in Casey Jones #1. That cover creeps me out. 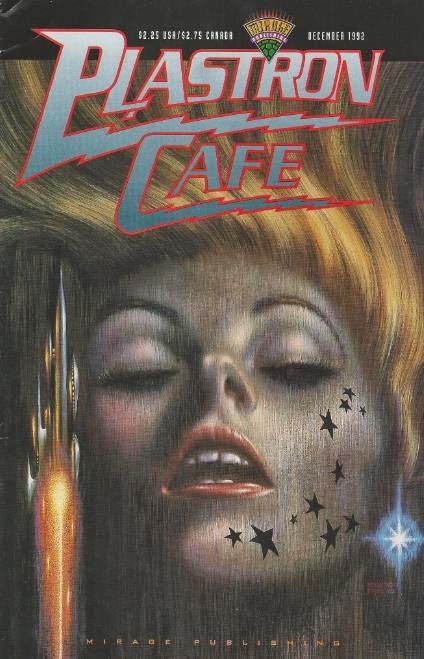 In fact, every cover in the Plastron Cafe series is just so bizzare given the subject material (as eclectic as it is). Any idea what the Mirage guys were thinking? I only own issue #4 so I don't know if the style was explained in the earlier issues.